Welcome to all the visitors at the July Greater Atlanta Coin Show, and thank you for joining us on a busy bourse filled with numismatic treasures and other collectibles. We appreciate the visitors -YOU, all the dealers with their many displays, our security and the hotel's staff for making the July show a busy and fun-filled place. For this show, we had a couple of new dealers filling in for dealers who had last minute conflicts. We also welcomed many new people visiting the show for the first time. Thank you to all the new people - visitors and dealers, alike - for joining us. We hope you had a good time and will join us again. Did you notice? The summer day was hot but bearable for July. Years past have seen temperatures in the high 90s and even over 100 in July, but for this year's show, the weather kept the temperatures in the upper 80s. Plus, the partly cloudy skies didn't let loose the 20% chance of precipitation unless you count the humidity. That's the south, though, it wouldn't be summer without the humidity. In addition to the coin show, the hotel hosted several other events. Being a Sunday, five churches held services in various areas of the hotel's communal space. In addition, several baseball teams along with people scouting the talent enjoyed the hotel's hospitality. The teams were participating in tournament games nearby. On the busy bourse, many people were interested in gold. Of course, gold has been on an upswing lately with its value increasing $78.75 since the June 2016 show and increasing $194.95 since the July 2015 show. Gold still bounces in price from hour to hour and day to day, but those are some healthy increases over longer spans of time. Also seen on the bourse, the US Mint's new platinum one-ounce coin was offered for sale. The 2016 American Eagle One Ounce Platinum Proof Coin is the second release, in a special two-year series, offered by the U.S. Mint. 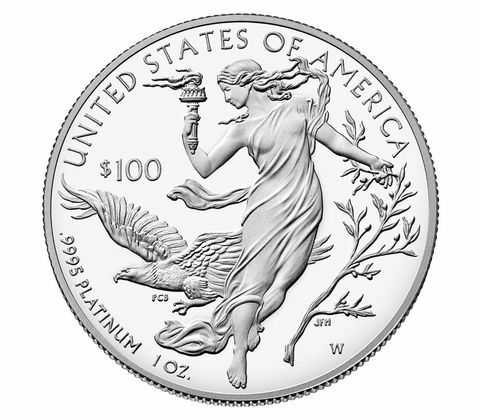 Each 2016 American Eagle One Ounce Platinum Proof Coin contains 99.95 percent platinum, and is packaged in a custom-designed presentation case, allowing both 2015 and 2016 coins to be displayed together. 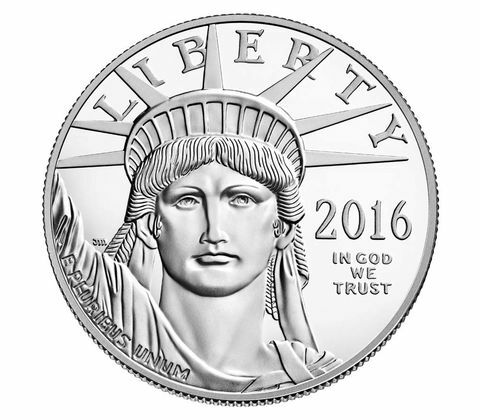 The obverse (heads) depicts the “Portrait of Liberty.” Liberty looks to the future in this modern interpretation of an American icon, the Statue of Liberty. The reverse (tails) design is innovative, beautiful, and representative of our Nation’s core values of liberty and freedom. It was designed by United States Mint Artistic Infusion Program Designer Paul C. Balan and sculpted by United States Mint Sculptor-Engraver Joseph Menna. The design depicts Liberty holding a torch of enlightenment in her right hand, and an olive branch in her left to symbolize peace. The olives represent the Thirteen Original Colonies. A bald eagle with its wings out-stretched appears beside Liberty. An older and rare specimen showed on the bourse - a raw (not in a certified holder) AU S-VDB Lincoln Cent from 1909. VARIETIES OF 1909 UNITED STATES CENTS. For more than forty years the collectors of United States cents-and they form by far the greatest part of American collectors-had to be content with a single variety, and then in 1908, a mint marked (S) cent appeared for the first time, making two varieties for that year. A change of design was anticipated for 1909, but that the change should lead to six varieties, to which may be added three more if we include the condition-proof, making at least nine specimens of 1909 mintage for the specializer of United States cents. The long used Indian Head type was coined at both the Philadelphia and San Francisco mints during the early part of the year. Philadelphia coined 14,370,645, including a liberal quantity in proof; and San Francisco coined 309,000. While the new type-Lincoln Head-cent was not issued for circulation until August 1, it was announced months in advance, and so great was the demand before any were issued, that the coinage, which began in June, produced about twenty-five million pieces before one was obtainable, but even this large number was far from sufficient to fill the orders that had been placed for them. No sooner had the new cent been issued than objection was offered against the initials V. D. B.-for the designer, Victor David Brenner-which were inconspicuously placed on the reverse. It does not appear that the objection was warranted or that it had any considerable support, but however this may be, it was sufficient to cause the Treasury Department to remove all marks from the new coin that would in any way indicate the designer. Next month, the bourse will once again be filled with dealers and their displays of coins (ancient to modern, US to world), currency, bullion and other collectibles. Mark your calendars to visit the next monthly Greater Atlanta Coin Show on Sunday, August 14, 2016. The initials of Victor D. Brenner on the new Lincoln pennies causes an Associated Press operator to suggest that they are appropriate for the smallest coin, as they imply the legend "Virtually Dead Broke." No reasonable explanation has been given for the action, and the many protests against the removal of the designer's marks and petitions for their restoration have been unproductive, and it now seems probable that the most popular coin ever issued will continue to be produced for twenty-five years (under the present coinage law coin types cannot be changed in less than twenty-five years) without a mark to denote the designer. While the removal of V. D. B. quickly followed the first issue of the coin, so many had been coined in advance and distributed that it will always be common to the collector, except those struck in “proof” which are scarcely distinguishable from selected uncirculated specimens. The Philadelphia mint produced 27,995,000. Lincoln head cents with V. D. B. and 484,000 of this variety were struck at the San Francisco mint. Those with V. D. B. in “proof” may be considered scarce since only about five hundred were struck and widely scattered before the change was ordered. Lincoln Heads without the initials V. D. B., dated 1909 were coined in good quantity at both mints, and with the supply not yet equal to the demand their coinage continues. Of this variety 72,702,618 were coined at Philadelphia, and 1,825,000 at San Francisco, and with a liberal supply in proofs. No 1909 U. S. cents are rare. Whether considered rare over 100 years later, the 1909 S-VDB Lincoln cent is certainly considered a key coin of the Lincoln set. Note: Platinum and S-VDB 1909 Cent coin images courtesy of the US Mint.